Our kitchen is open daily from 11:30 am till 10:00 pm and till 10:30 pm on Friday and Saturday evenings. Our lounge is open daily till……..
We are not your typical Latin Restaurant! 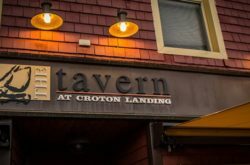 Conveniently located in Croton-on-Hudson off route 9. From Ladies Nights to Happy Hour Specials, Live Music to Karaoke we are worth the trip! Complimentary valet on Fridays and Saturdays. What are you waiting for? Yuka’s Latin fusion is where you will find some of the freshest and tastiest authentic Latin cuisine around. With our urban flair and one of a kind of flavors, you will be back for more and more after just one meal. Feast on favorites starters like guacamole, pico de gallo & chips, empanadas, mofongo, tostones con puerco and ceviche to rev up your taste buds. Then, cure your cravings for bold flavors with any of our street tacos, carne asada, burrito’s, camarones and much more. Sip on house made sangria, mojito’s or margahrita’s, while enjoying your meal. Be sure to stop over for our weekday double happy hour which is ideal for meeting up with friends and family. Weekly happenings and drink specials like Mojito Wedneday and the ever popular Ladies Night on Thursday offer plenty to keep everyone entertained. Our tequila collection is second to none!! Try something staight up or in your favorite cocktail. At Yuka’s eveything on our menu is available for take out, so if you dont have time to dine at our house, you can always take us to yours. The food is consistently good. We are always pleased with our meal. There is always something for everyone and it doesn’t have to be expensive. Kids eat free on Sundays, the happy hour specials are awesome and they are always having fun events. Definitely a great place!!! Try their brunch!